Mc Queen apologizes for advertizing for a long-term unpaid internship that was issued by mistake. "The advertisement in question was issued in error and was not in accordance with our HR policy, for which we apologise," they told The Huffington Post UK. "In line with UK government guidance, Alexander McQueen has a strict policy of only accepting interns where the student is required to complete a placement as part of their higher or further education studies." Tommy Hilfiger has cancelled his menswear show at New York Fashion Week. Angela Scanlon was chosen by Louis Vuitton to help showcase its new Neverfull Epi bag. The fashion house asked the Irish television presenter to take its colourful new style on a tour of her favourite London spots. 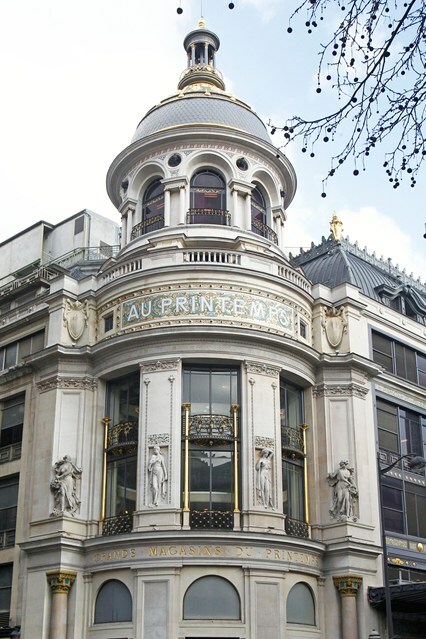 Printemps, the french department store chain, has been sold to Divine Investments SA for about €1.6 billion. The winning team has purchased the 70 per cent stake from Deutsche Bank's RREEF Real Estate and the remaining 30 per cent from Italy's Borletti Group. Coach has cut 200 jobs as part of an extensive company reshuffle, after posting a dip in sales. And speaking of their second to last creative director, Reed Krakoff, he is preparing to buy his eponymous label from Coach Inc.
Tamara Mellon launches her own namesake brand online at tamaramellon.com in November.